The ED_ prefabricated dormer means new opportunities in the development of attics using FAKRO roof windows. 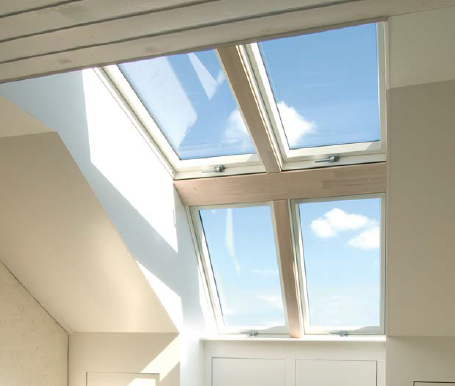 The dormer installed in the pitched roof increases usable area of the room and provides perfect illumination of the interior with natural light. The dormer will be available as standard in version with two roof windows EDD (B2/_). 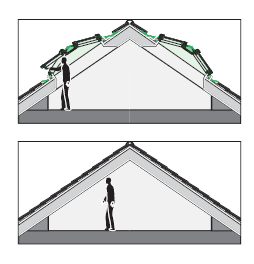 It is possible to order the dormer with three roof windows EDT (B3/_). The prefabricated dormer has been designed for windows in the size of 78x118. As option, the EDD version can also be manufactured with windows in the size of 94x118 cm or 114 x118 cm. Roof windows are not component of the dormer.